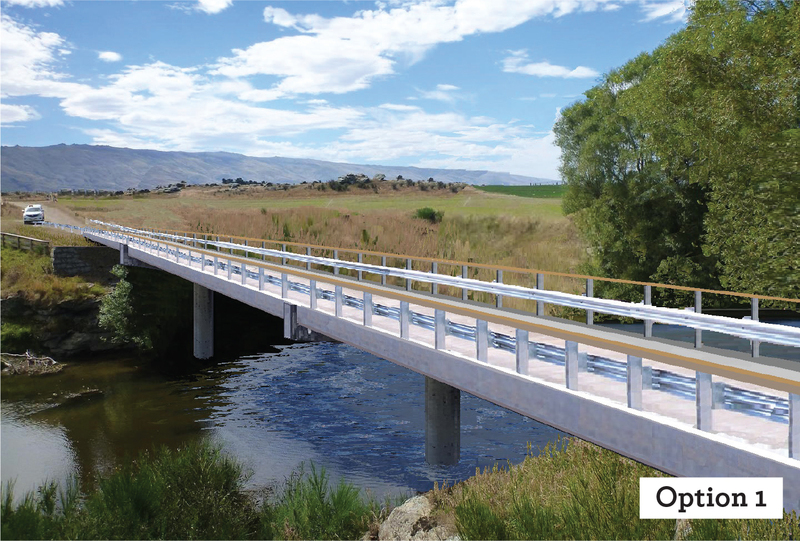 The Dunedin City Council unveiled three design options for a new bridge on Friday. The new structure will replace the 19th-century suspension bridge, which collapsed during last July's floods. 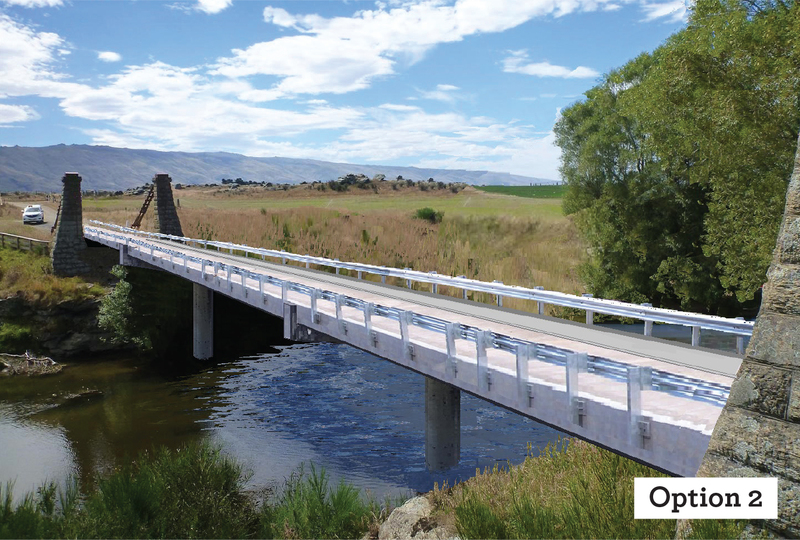 In a statement released on Friday, council transport group manager Richard Saunders said all three options would feature a 4.7m-wide, single-lane concrete bridge with a 65-tonne weight limit, designed to accommodate agricultural machinery and with space for a 1.5m foot and cycle path. The first option is for the new bridge to be built where the former bridge was, with the old abutments left in place. In the second option the new bridge would also be on the original site and the original bridge's historic pillars would be reinstated on either side of it, but further apart than than they were on the original bridge. The third option is for the new bridge to be shifted downstream, while maintaining the pillars in their original location. Option three would be the most expensive, as it was likely land would also have to be bought, Mr Saunders said. 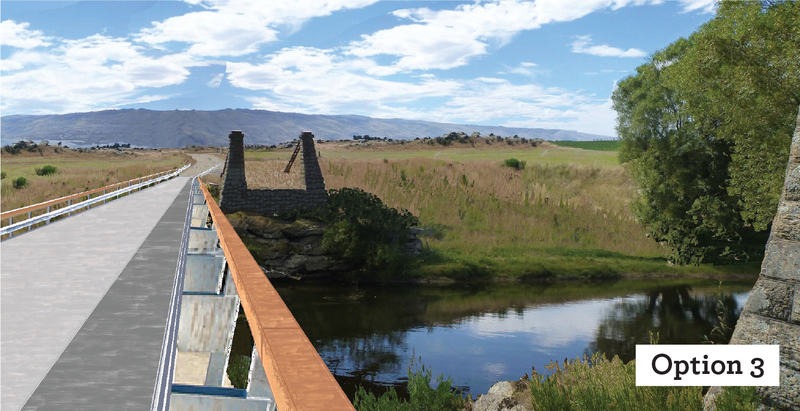 Mr Williams, of Middlemarch, said he preferred option two, as the bridge would remain on the original site and the pillars would be restored. He was against option three, as moving the position of the bridge could make the build more complicated and expensive. If option two was selected, he hoped the bridge would be built as quickly as if option one had been selected. Also, if option two was selected, he hoped the construction of the pillars could begin after the bridge was opened. Mr Williams urged people to give feedback on the options at a public drop-in session at the Strath Taieri Community Centre in Middlemarch between 7pm and 9pm on Monday. Mr Saunders said the cost of all three new bridge options was expected to be between $2 million and $2.5 million. The NZ Transport Agency would cover 75% of the cost.